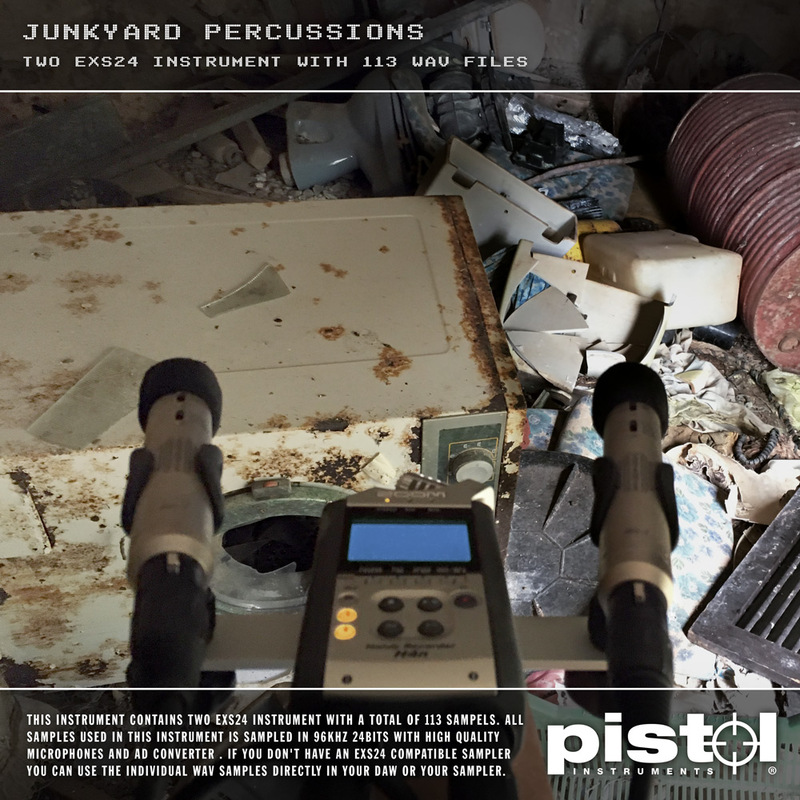 We release the Pistol Instruments Junkyard Percussions. This instrument contains two EXS24 instrument with 113 sounds recorded with two stereo synced Sontronics STC-1 microphones. The recordings are made on Menorca (Spanish island in the middle of the Mediterranean Sea.) in a abandon junkyard. All samples are recorded in 96khz 24bits with a zoom h4n. If you don’t have an EXS24 compatible sampler you can use the individual WAV samples directly in your DAW or your sampler.